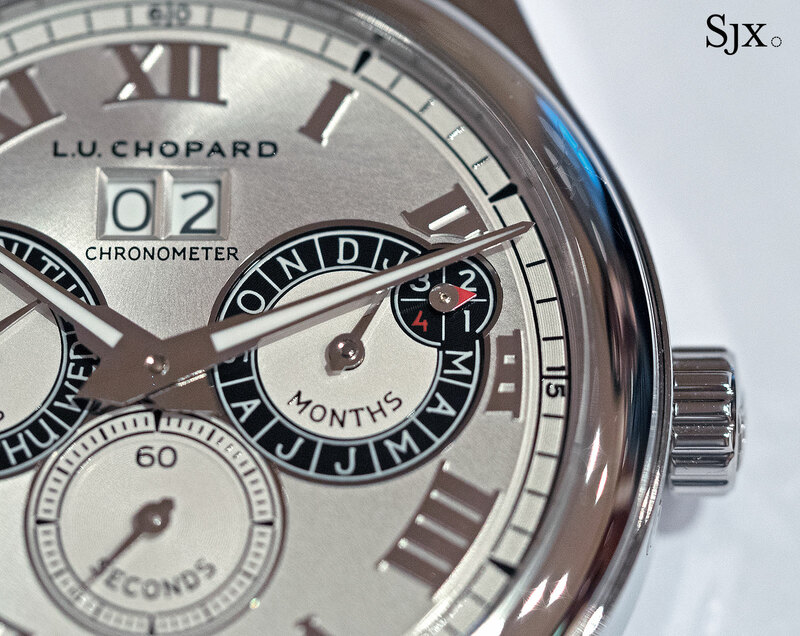 Chopard gives its sophisticated L.U.C perpetual calendar movement a simpler finish and a steel case, making it significantly more affordable. Affordable or entry-level watches seem to be unveiled on a weekly basis – Piaget just did earlier today – as luxury watchmakers adapt to the environment. Sometimes it can seem like a race to the bottom, with watch brands trying to outdo each other in offering a particular complication for cheaper. 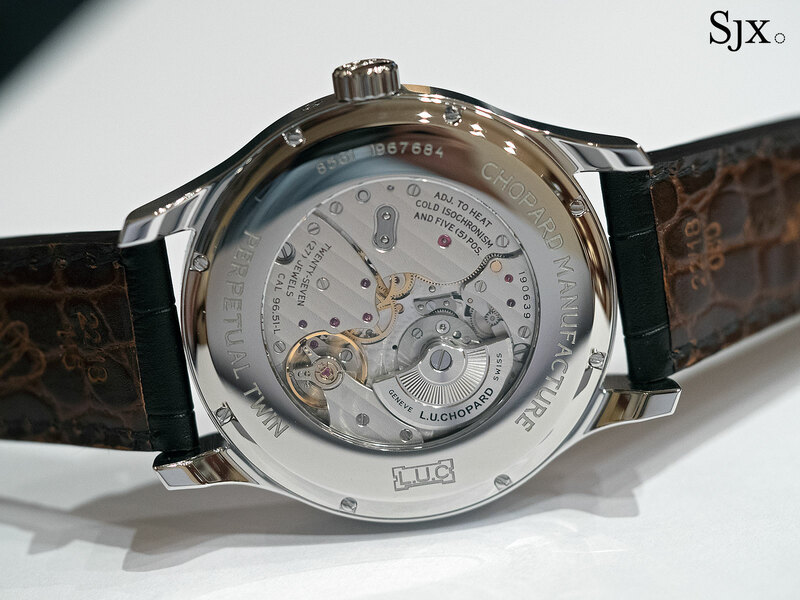 At Baselworld earlier this year, Frederique Constant’s US$7500 model claimed the crown of cheapest perpetual calendar wristwatch from Montblanc. Both are powered by basic movements topped by a perpetual calendar module from complications maker Dubois-Depraz. 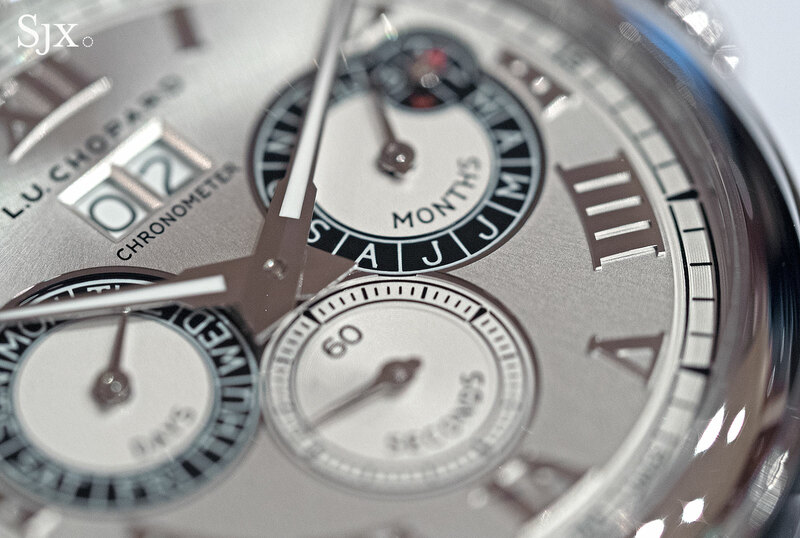 While such watches are affordable, relatively expensive, they might not be value for money. 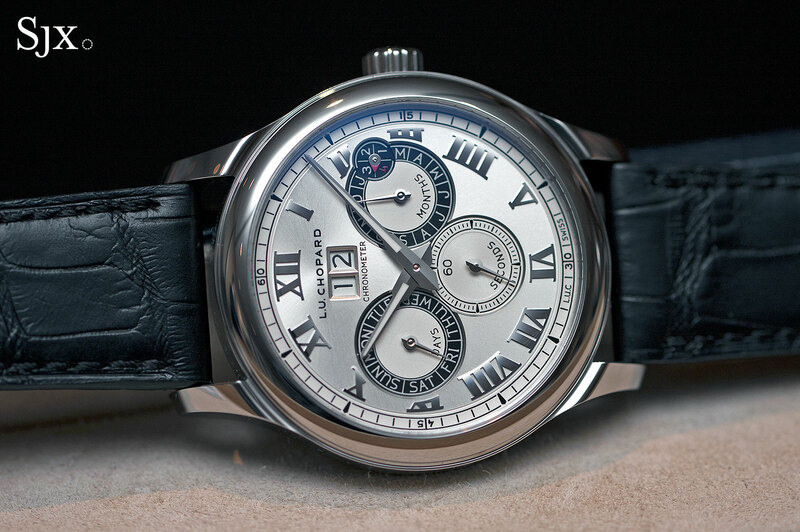 Chopard’s new LUC perpetual calendar, on the other hand, is significantly more expensive, but is arguably better value. The L.U.C Perpetual Twin costs about US$25,000, but it is very similar to the US$63,000 L.U.C Lunar One. No doubt it is cheaper for a reason, the case is stainless steel instead of gold, and the movement lacks the fine hand-finishing found on the Lunar One. Functionally, however, the Perpetual Twin is almost identical as its more expensive cousin: a perpetual calendar with an oversized date display powered by the sophisticated and slim L.U.C automatic calibre, but without the moon phase and day and night indicator. 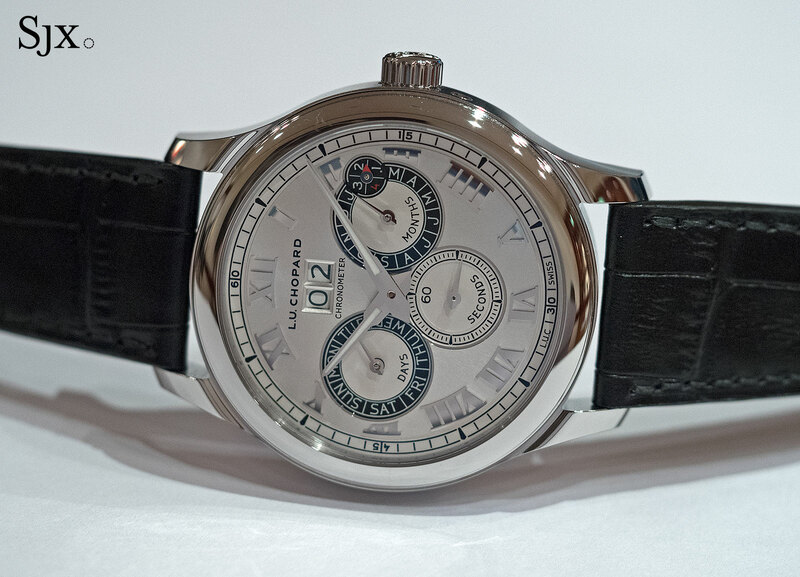 At 43mm in diameter, the L.U.C Perpetual Twin feels a little large, bigger than a watch like this should feel. But being steel, it is relatively lightweight. The L.U.C Perpetual Twin takes the traditional approach to displaying the calendar, with twin sub-dials for the day and month displays, along with an overlapping leap year indicator; there is no moon phase, but that’s a complication with negligible functionality. The layout of the calendar results in a slightly cluttered look because the movement is small relative to the case, leaving the indications clustered together in the centre of the dial. 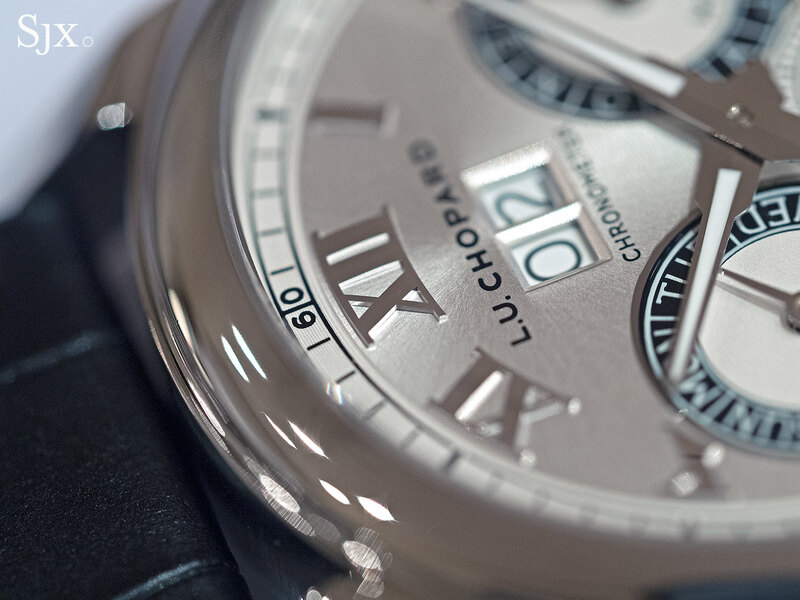 While Chopard’s L.U.C watches are top class in quality, many of them tend to have middling aesthetics. The L.U.C Perpetual Twin is no different. Though the dial of L.U.C Perpetual Twin is visually similar to the pricier perpetual calendar, with obvious, applied Roman numerals, it is made of more basic materials. The dial is silver-plated brass, while that one on the fancier model is solid gold. That being said, the dial has been well treated and given a level of detailing typical of more expensive watches, including the concentric guilloche on the minute railway track and the very slightly recessed sub-dials. Over on the back, the verdict is the same. The movement has been decorated more simply than on the top of the line perpetual, but once again, the finishing is handsomely done and still high quality, arguably superior to many other perpetual calendars in this price bracket. Examples of attention to detail in the movement decoration include the neat and consistently spaced perlage on the base plate, the sun ray finish on the bridge for the winding mechanism, and the circular graining of the gilded wheel train gears. That being said, there are concessions with the movement finishing, expected and forgivable given the price concession. The bevelled edges of the bridges and countersinks appear stamped, and the rotor is plated brass. There are also slight differences in movement construction between this and the flagship perpetual. The calibre L.U.C 96-51-L has a free-sprung balance wheel, without the swan neck regulator on the more expensive model. 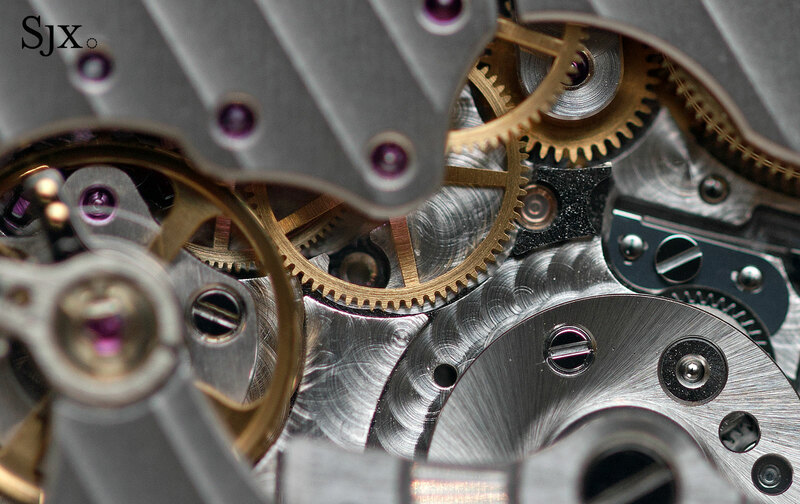 And the automatic winding is a straightforward wheel and click instead of a clever Y-shaped rocker found on the top-end LUC movements. Though the L.U.C Perpetual Twin has obviously been conceived with cost constraints in mind, it still looks and feels like a well made timepiece, a quality that is easy to lose in an “entry-level” wristwatch. So while it is affordable relative to equivalents, the L.U.C Perpetual Twin does not feel low-end. A comparable alternative to the L.U.C Perpetual Twin is the IWC Portugieser Perpetual Calendar in stainless steel, which costs just under US$29,000. 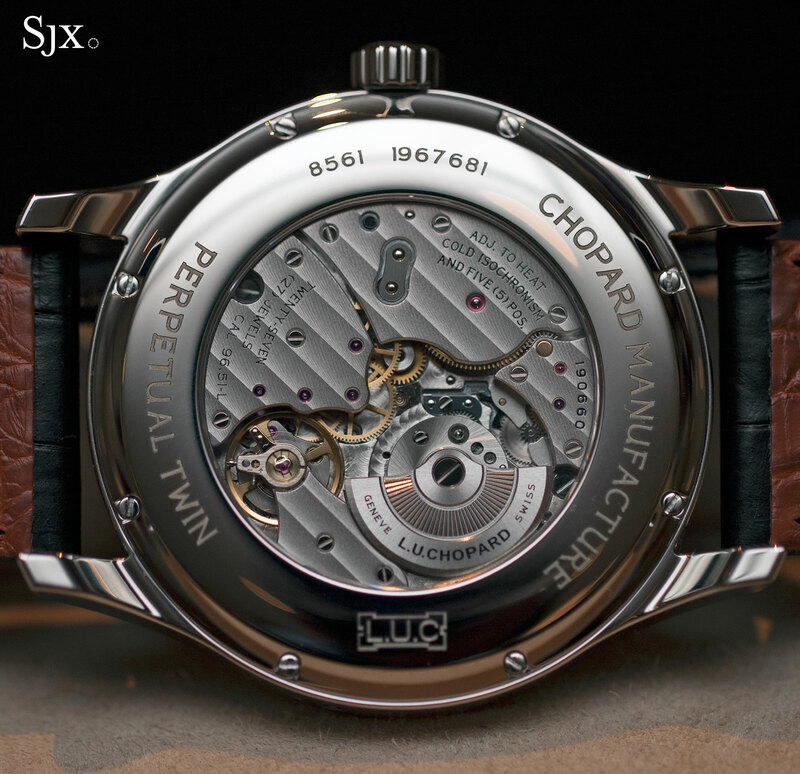 The Chopard, on the other hand, is priced significantly lower, at USS$22,890 or S$32,830. It will be available in the third quarter of 2016.